There's a drifting heart and the rustling of wind through dried up fall leaves slipping through all of the songs on Tift Merritt's spectacular new album, "Traveling Alone." It's hard to tell exactly what they - those hearts and the wind - want to be doing. They could be coming or they could be going. They could be stuck in a strange place, with eyes and affinity split. The folks would contain these hearts, who are affected by these winds, are of the solitary sort only partially. They'd rather be consumed by something a little more stable than a wayward wind and a beating heart that doesn't rely so heavily on hunches and fictions. The place that Merritt creates for her characters is one that's full of those big minutes, packed with the small considerations and feelings. These are the places that are ticking with the dense hours and those people who can't help but flail more than they succeed. It's just in their code, but they're no different than anyone. We all live this way - focusing on the tatters and the dents, all the while knowing that those things can be quickly out-weighed by something as little as a cup of hot cider or a coffee, on a winter morning with someone you haven't seen in forever, someone you've never forgotten to love daily. These songs are beautiful for the damage that they portray, even if the damage is slight and hard to spot with the naked eye. It's a negligible damage, something that's barely there, unless you really get down and into it. It's the kind of damage nature insists upon, as no one gets out of here cleanly. They pass through the bumps and try to get by as unscathed as possible. Those in Merritt's songs are just regular people, pulled toward the people and places that feel the best to them. They're drawn to them as if they were comfort foods. That old lover is hot chocolate and that nothing-much-farmhouse, with loud, aching floors, like deviled eggs. 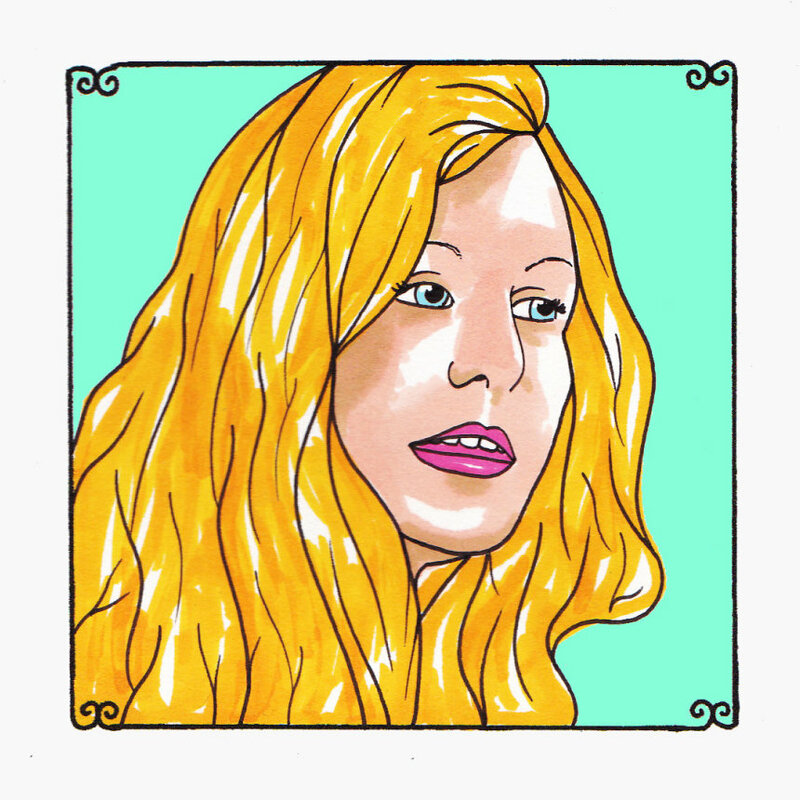 Merritt sings about searching for that "sweet spot" where everything feels the most right. There's a thought that it's somewhere back "home," whatever that actually conjures up in her mind. It could constantly be in flux. There's no telling if the road to "home" is going to just keep dragging you on, or if it's ever going to lead anywhere familiar. She sings, "I was raised so bright/I was raised so sweet…/Sweetness ain't gonna get you home." It's what it feels like as we make our way through "Traveling Alone," the hope of that place and a beleaguered sweetness being enough to keep these characters sane is somewhat elusive, though still highly effective. These songs are tender spells. They are of the salt of skin that tastes like the wood smoke that came from the exhausted logs in the fire. They are infectious in their need to be the fire and the salt.